← I’m off to the Fair! As promised, I shall now regale you with my exploits at the London Book Fair, which was held at Kensington Olympia in London. Sadly, I was only able to catch the last day of this event owing to various logistical impediments, which I shan’t bore you with now. Next year, I will make every effort to be there on the first two days, because it seems that by the final day people rather run out of steam (which is to be expected). I still enjoyed myself! I always appreciate spending time with other indie authors, not only because we can learn from our shared experience, but because writing as a profession can be solitary. It’s nice to break free from the desk, every now and then! This time, I was very happy to meet Mark Dawson, Nick Spalding, Paul Pilkington and Rachel Abbott once again, as well as meeting Mel Sherratt and Keith Houghton for the first time amongst others. They are all warm, friendly people who are not only knowledgeable about their industry but – dare I say it – refreshingly normal! The problem I sometimes find when I meet new creative types (of any profession) is that they can be awfully precious about their work, quite defensive and a wee bit antisocial because of it. None of these maladies apply to the lovely folk who, like me, were based from the Amazon KDP stand. Strong cover (most importantly, a cover that looks good as a thumbnail and stands out from a list of others. There are many fabulously designed covers which fail miserably to attract attention because they are too complicated, or only look good when blown up on your computer screen. It seems an obvious point, but scroll down some of the book listings on Amazon and you’ll see what I mean). Strong book description. (This is one of the main selling points, so spend time getting it right, but again, keep it simple. You want to attract the attention of readers for the right reasons, giving them enough to know what they’ll be getting without overselling/underselling/talking absolute shite. If in doubt, have a look at some of the bestselling book descriptions within your chosen genre, particularly the Indie ones, because they are less likely to have been driven by outside advertising campaigns). Strong first three chapters (ideally, a strong book in total, but most importantly you need to grab your readers from the get-go. Questions of what constitutes a ‘strong’ chapter will always be a matter of debate but, in my own view, there is a certain punchy style of writing that tends to hook a reader. It is the opposite of flowery and descriptive. Although you might be desperate to show the world how you can write like Rudyard Kipling, this is unlikely to inveigle a reader. 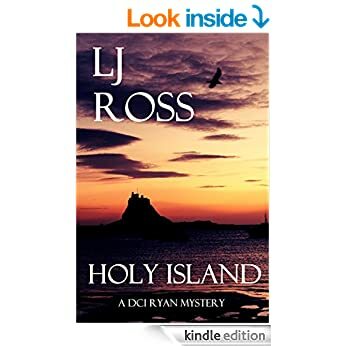 If it is any consolation, I wrote no less than six drafts of the first three chapters of Holy Island, which went on to be a UK #1 bestseller, and I still see areas for improvement. The message here is, don’t beat yourself up if you have to cut down your baby). Marketing. (OK, there are many and varied things you can do here, but I won’t pretend that I am any kind of guru in this area. You can pick up some great tips from the web, if you want to go all out, but I would also bring you back to the basics: writing more books begets more sales, which builds your readership. Books cross-fertilise, which grows your readership. It is very useful to try to build up a list of e-mails (use something like MailChimp) so that you can let readers know in advance of when your next book comes out. It sounds cheesy, but I’ll say it anyway: if you write a good book, people will read it and recommend it to their friends, who are then likely to enjoy it and recommend to more people…and thus, the cycle continues. You can do all the marketing in the world, but if people don’t like what you have written, the sales are more likely to plateau or drop off. The ideal scenario is, of course, if you write a quality piece of fiction AND manage to market it effectively, so you benefit from direct and indirect sales). Don’t be put off by other authors. (Realistically, this is easy to say and very hard to do. Writing is a wonderful job and therefore many people want to do it, which means there’s a lot of competition. Well…guess what? There’s competition in every area of life. Oh, how nice it would be, to wake up one morning, stretch and say “I think I’ll be a writer today”, send off your little ditty and have 100,000 sales by the afternoon. Yeah, dream on! It’s hard work, but all the best things are. Once you make it, your success will taste all the sweeter. Bear in mind that the more people you talk to, the more opinions you will hear and individual approaches to the business. Learn to discern between useful advice and bumf). Be clear on what you wish to achieve. (“Literary” success does not always equate with “commercial” success. A lot of the books shortlisted for a Booker prize didn’t sell in big numbers – so, figure out what you want and stick to it, because unless you’re Harper Lee, you may not achieve both). Those are the basics, which I honestly believe are the most important things to master before doing anything else. There are loads of useful websites out there to help with specific topics, but these are the main tenets I keep in the back of my mind before I sit down to write. Speaking of which, I need to get back to it! Great advice, even when you think you know some of it, is good to hear reaffirmed. Nice one. Roger A. Price -crime novelist.